The All Progressives Congress (APC), through the official spokesperson of the Buhari Campaign Organisation, Festus Keyamo, has reported Atiku Abubakar and People’s Democratic Party (PDP) to the Nigeria Police and Department for State Service (DSS). In an official complaint to the security agencies, Keyamo asked that “the leadership of the PDP must be invited, interrogated and investigated and those identified as perpetrators must be arrested and prosecuted” for the “criminal hacking of the server or through the criminal conspiracy of some INEC officials”. 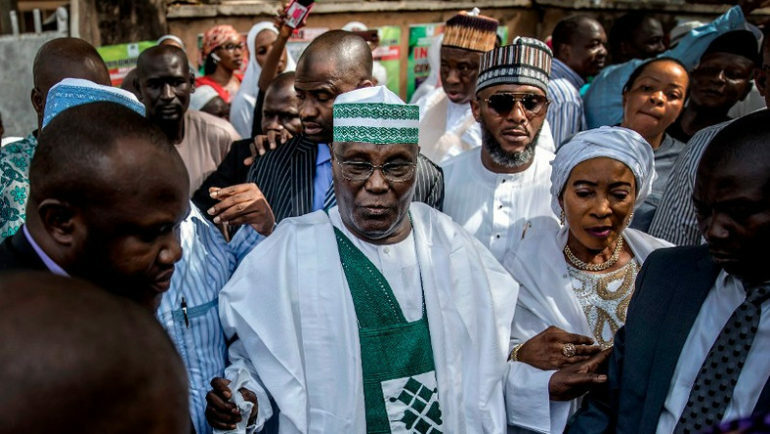 Atiku and PDP had revealed in a petition to the presidential election tribunal that INEC server showed he won the election of February 23 by 1.6million votes but was rigged out by unscrupulous means. Keyamo hinged on the petition as admittance of illegal access into the server and claimed the results were fake results posted on the server by the PDP before the rescheduled presidential election date of February 16. He asked that the acting Inspector General police and Director General of the DSS invite, interrogate and investigate the PDP leaders. Paragraphs in the letter read Keyamo’s submission that PDP concocted the result it obtained from the server. “Upon the last-minute postponement of the February 16, 2019 Presidential/National Assembly Elections, the nation was shocked to see already prepared presidential elections results floating around in the cyber space just less than 24 hours after the postponed election was originally billed to hold! The fake results had details of the scores of the candidates of the major parties. Of course, the fake results gave victory to the candidate of the PDP, Alhaji Atiku Abubakar, even when elections did not hold. Will Ume-Ezeoke Be Missed In The Polity?